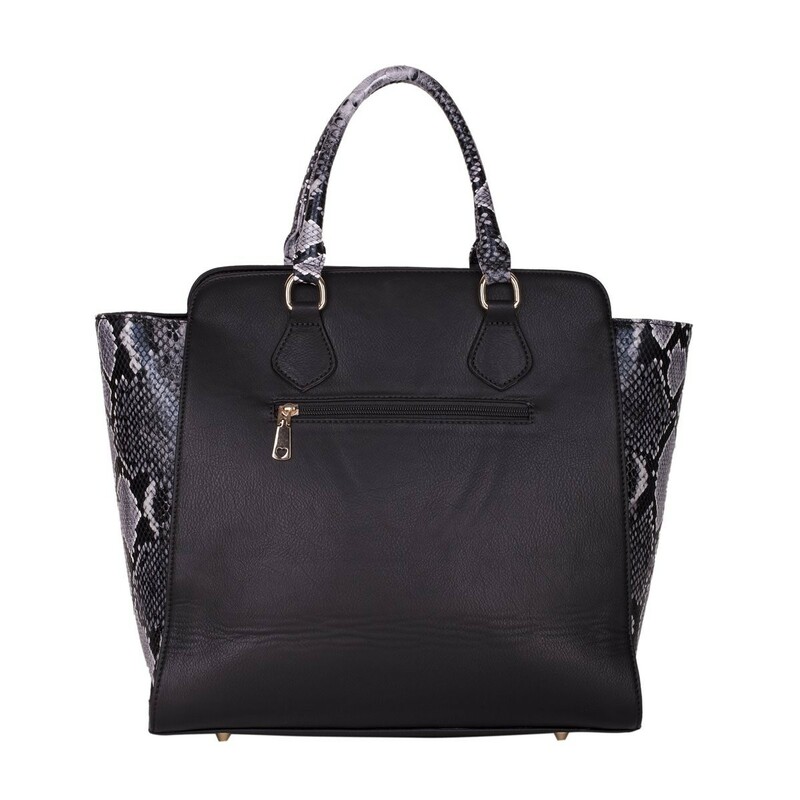 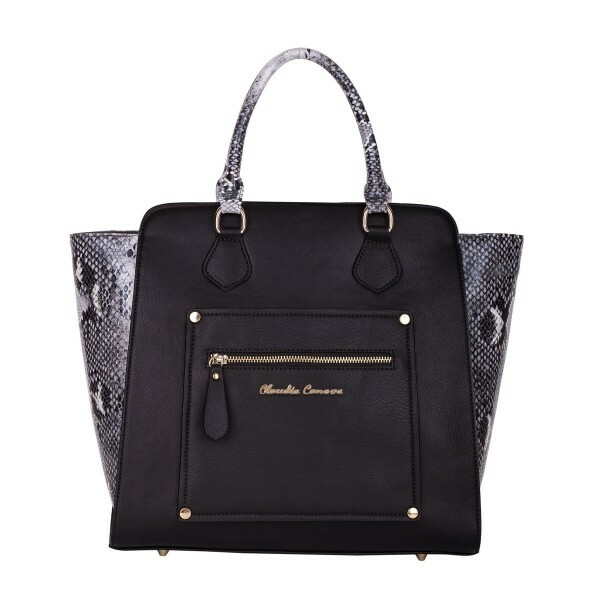 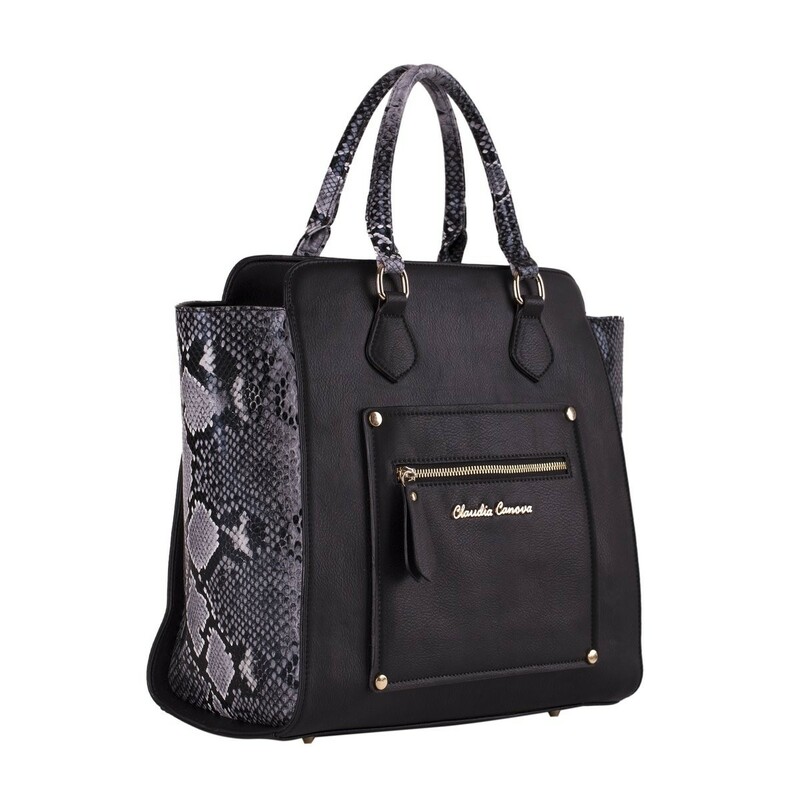 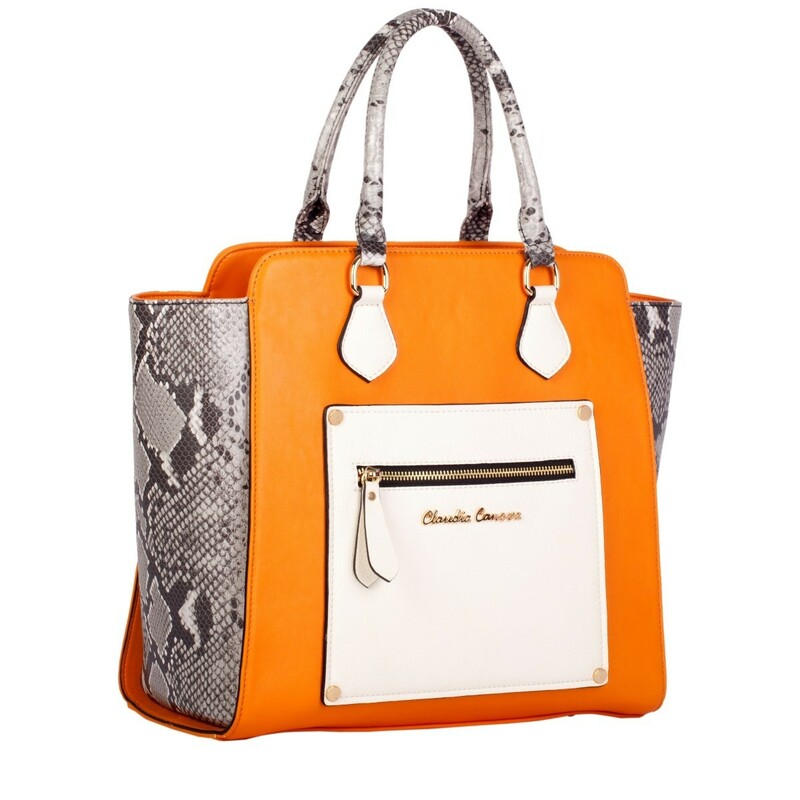 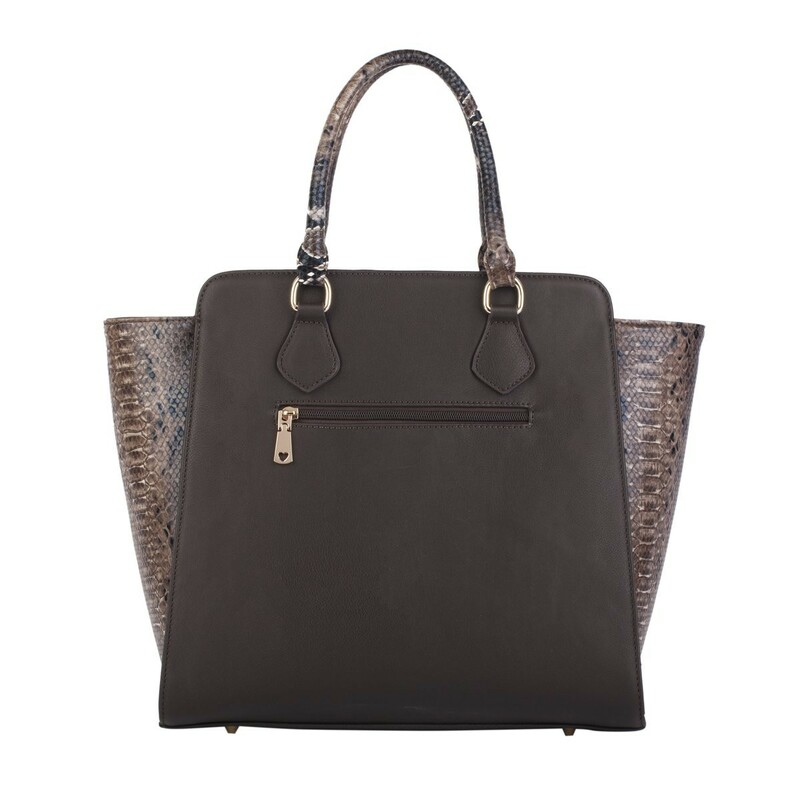 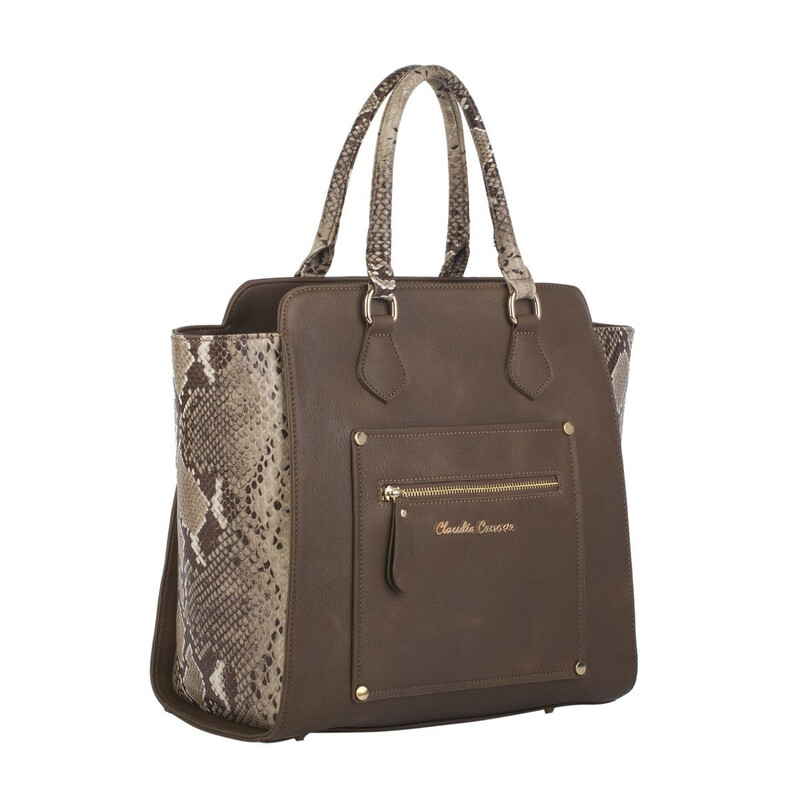 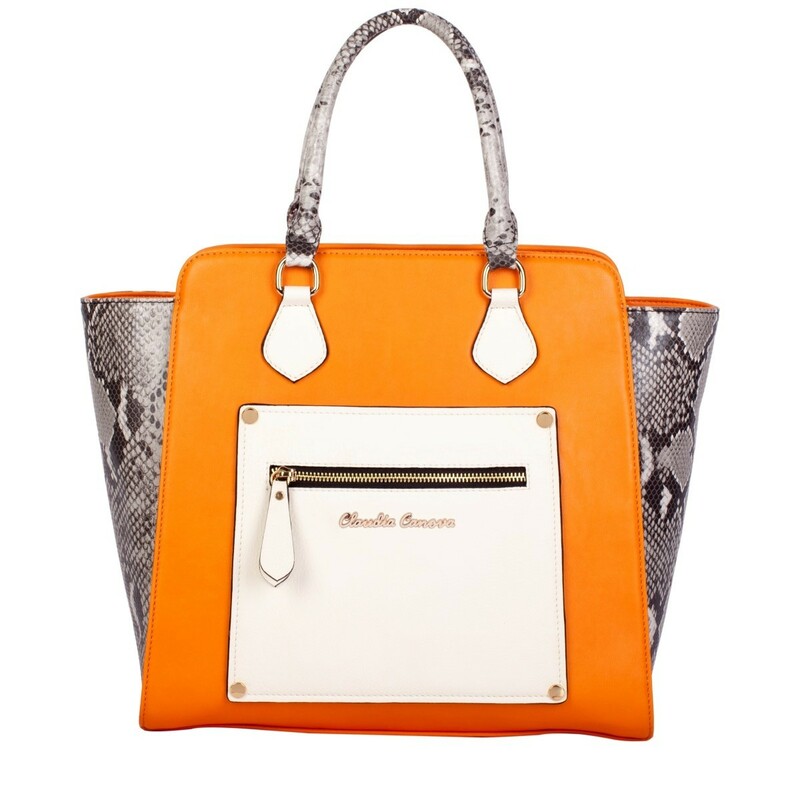 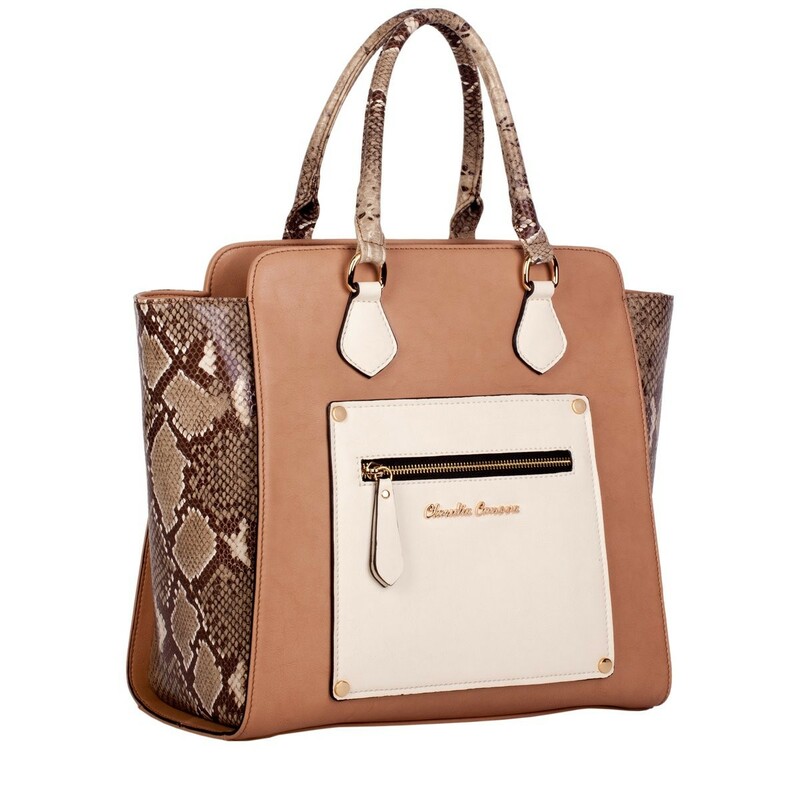 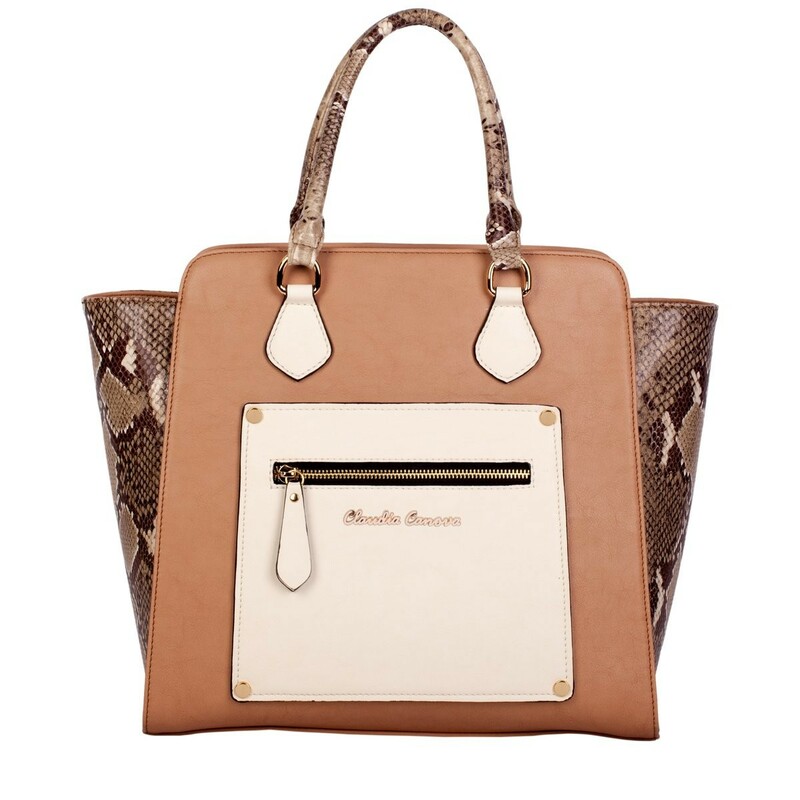 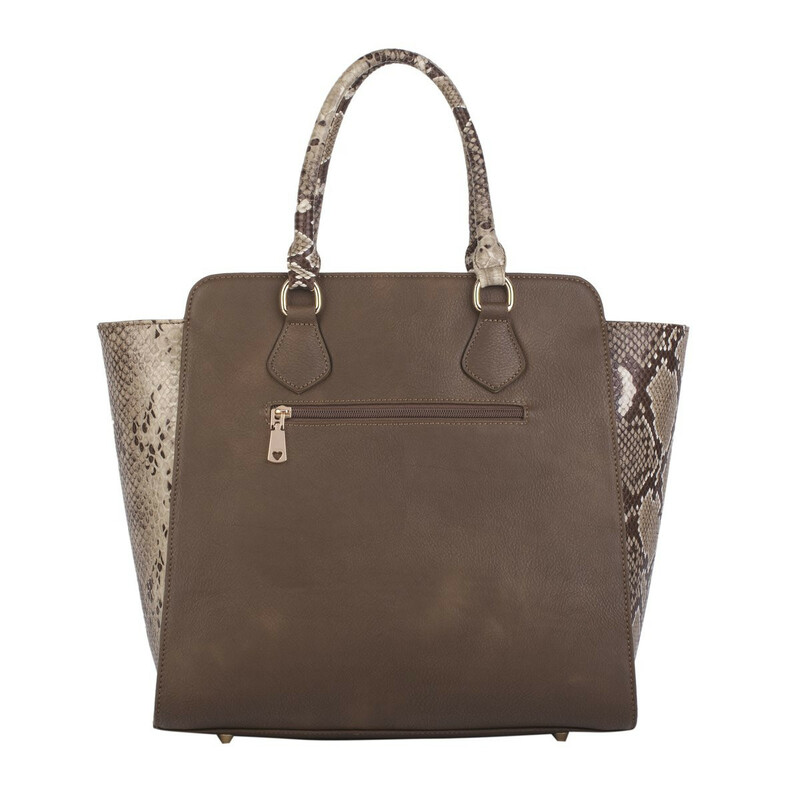 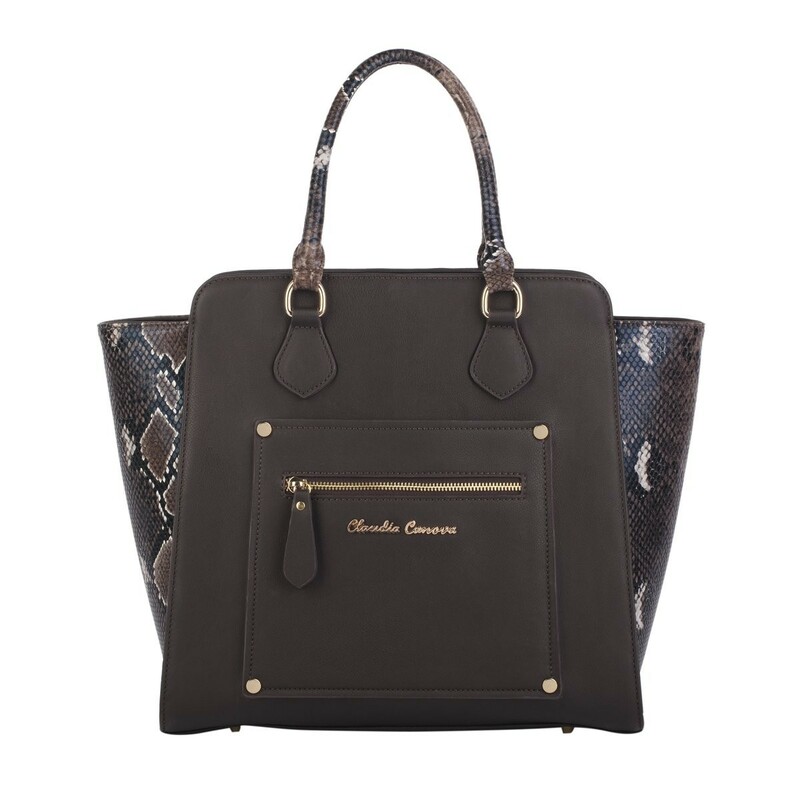 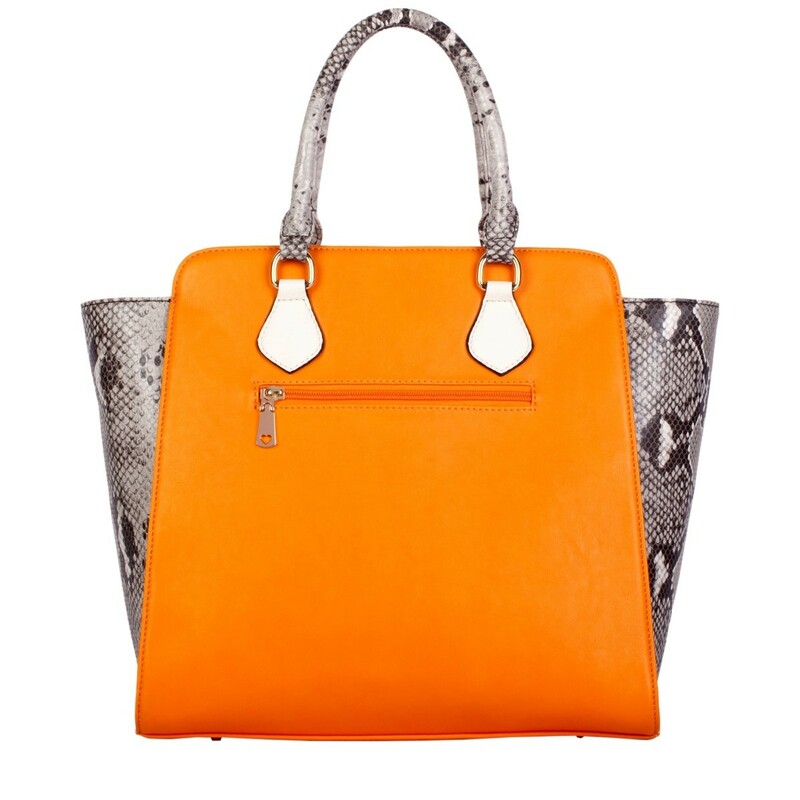 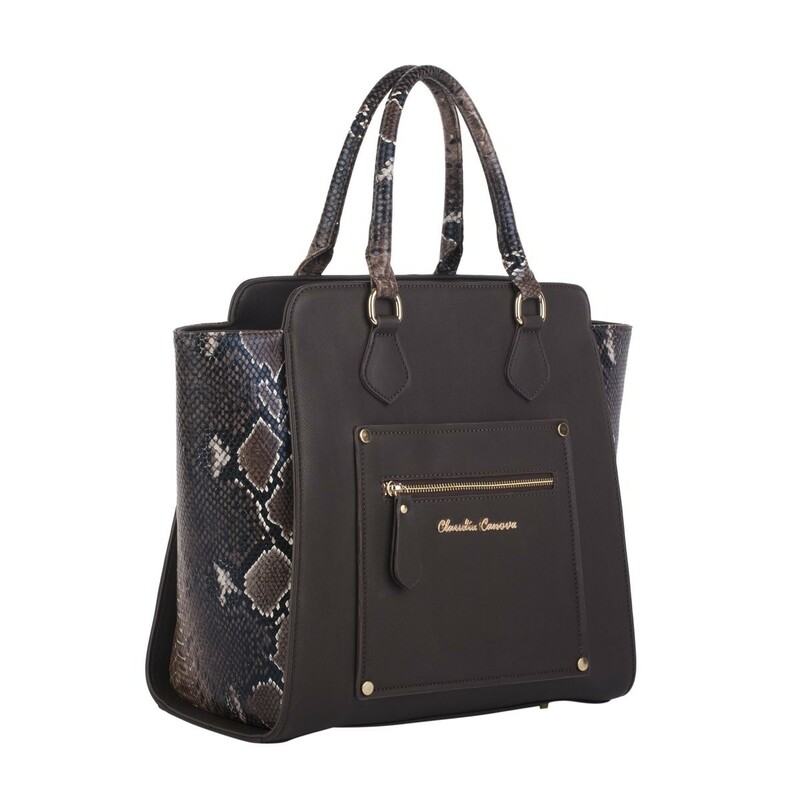 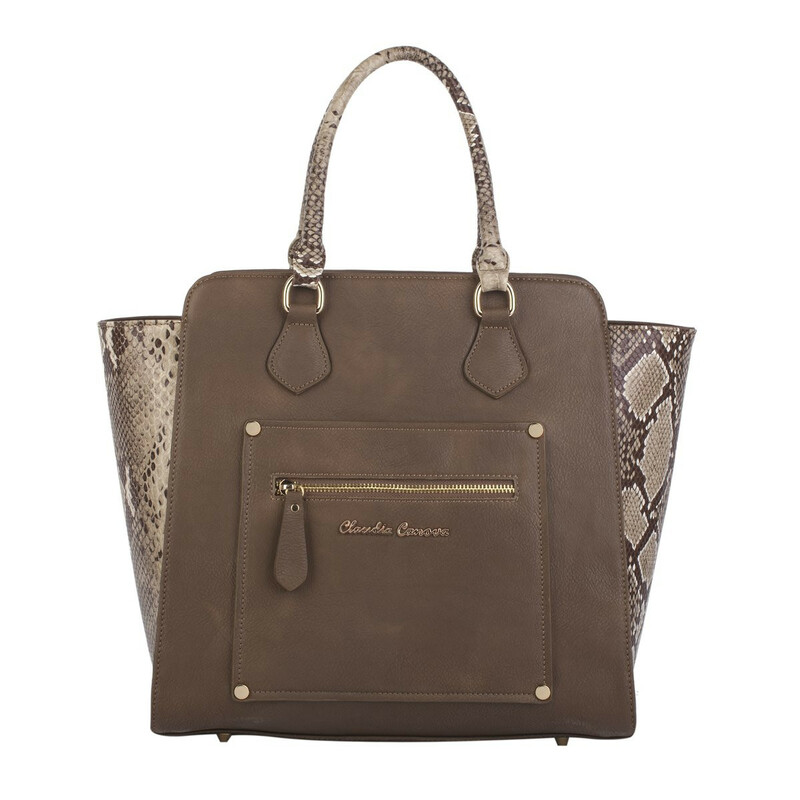 This eye-catching tote bag is made with a two tone textured PU, a smooth exterior with a snake print trim. 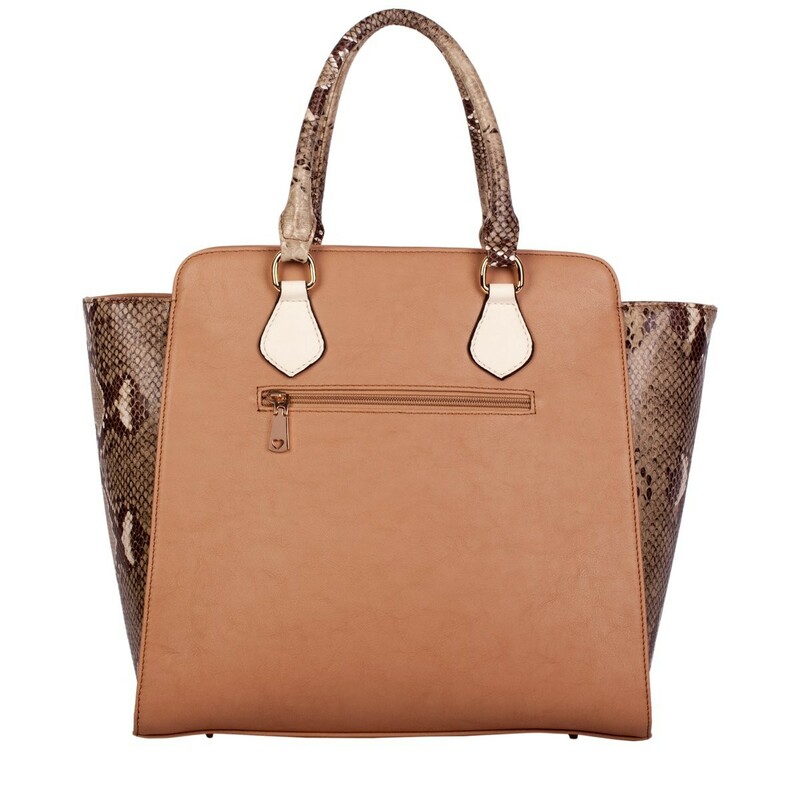 The polished gold hardware adds a touch of glam and the spacious interior makes it a practical bag. 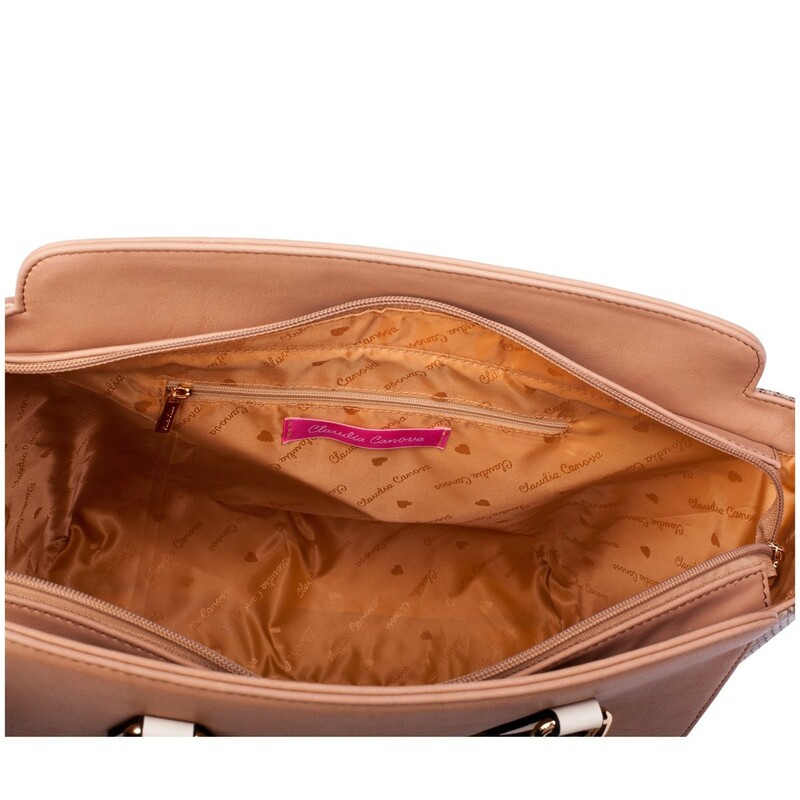 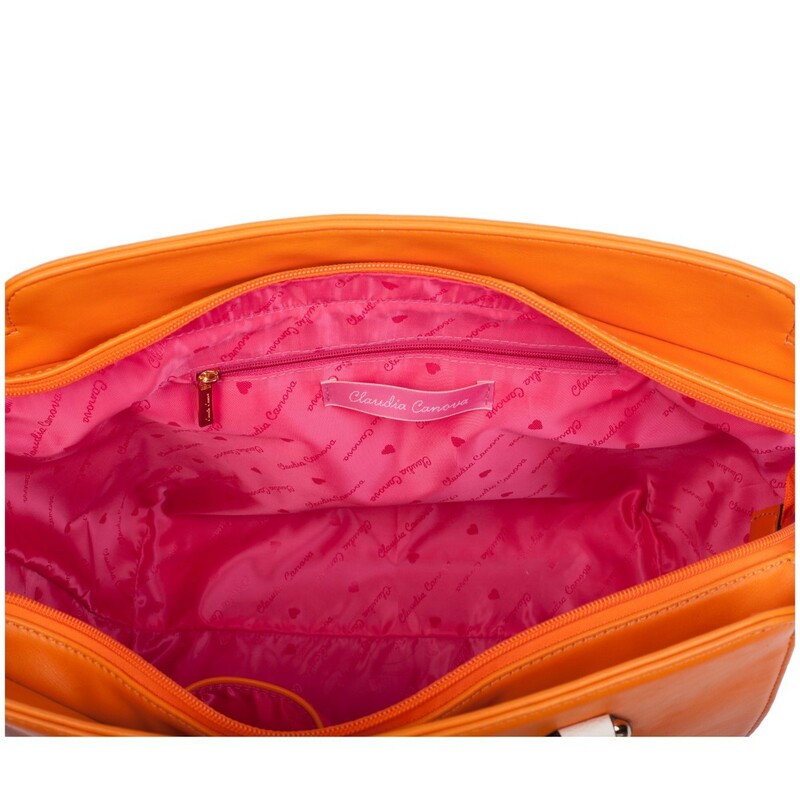 The inner phone compartment and back zip closure pocket provide added interior space for essential belongings.